Discover the advantages of the Hauck Sit N Relax! 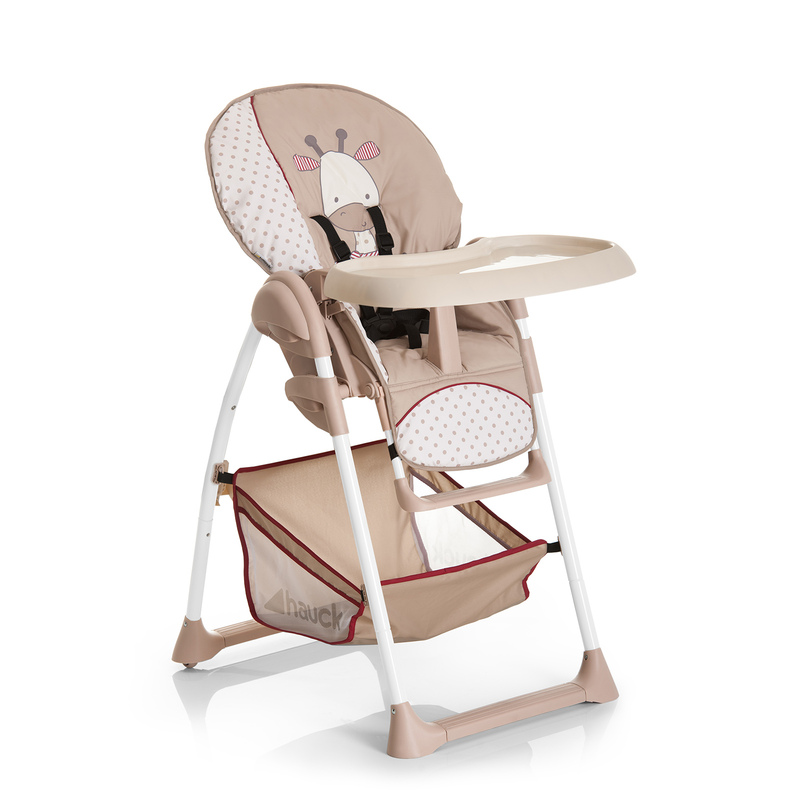 This dual purpose highchair and bouncer in 1 from Hauck comes complete with a large storage basket for toys and accessories. 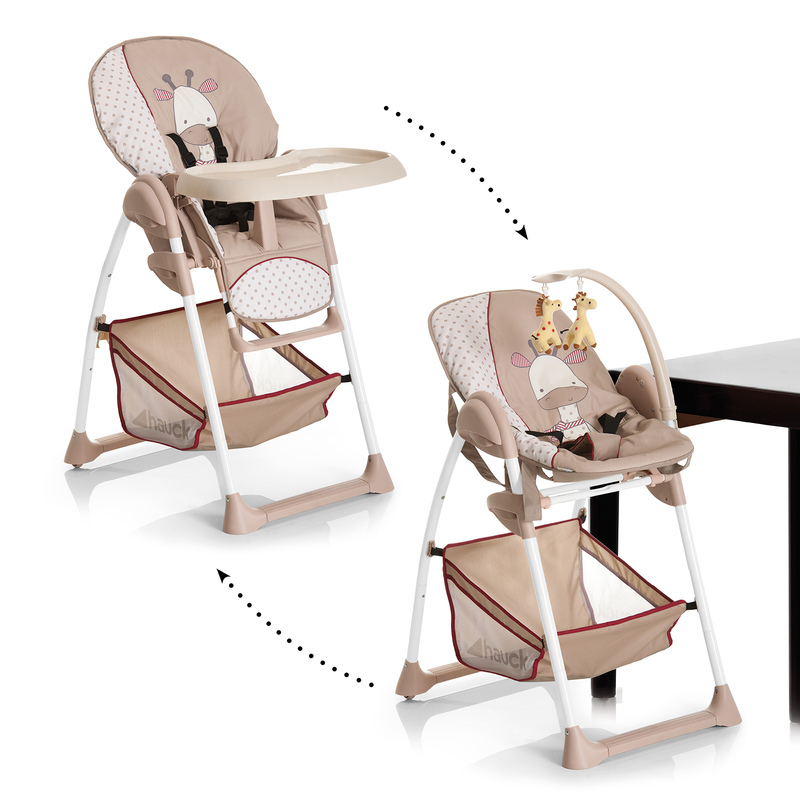 The frame is fully height adjustable so your child can sit with you at the dining table or beside you at couch height. 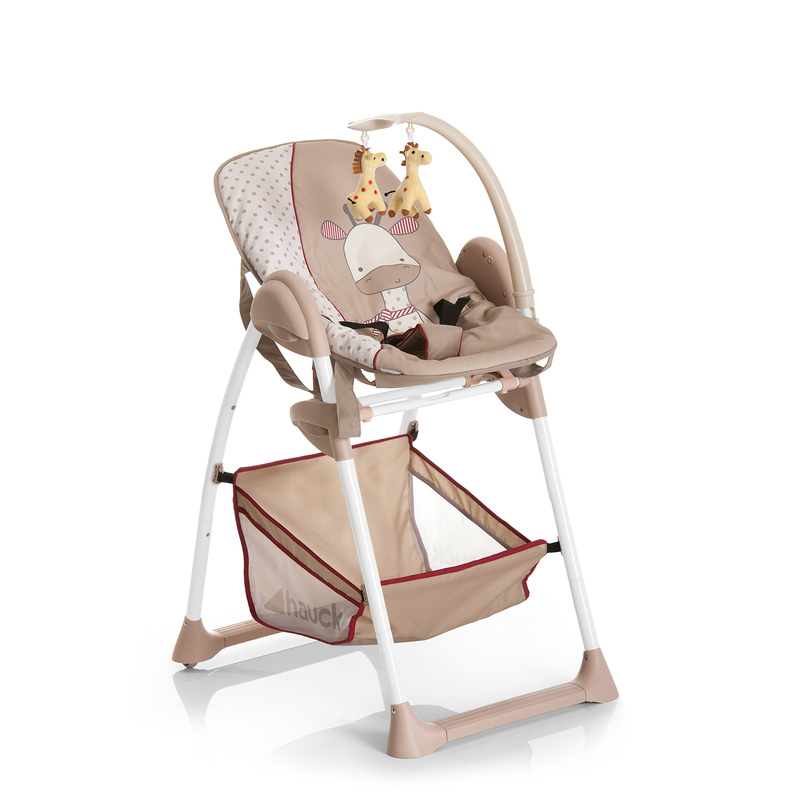 The adjustable bouncer is to be used for newborns, where Baby can snooze or be entertained by the cute mobile. 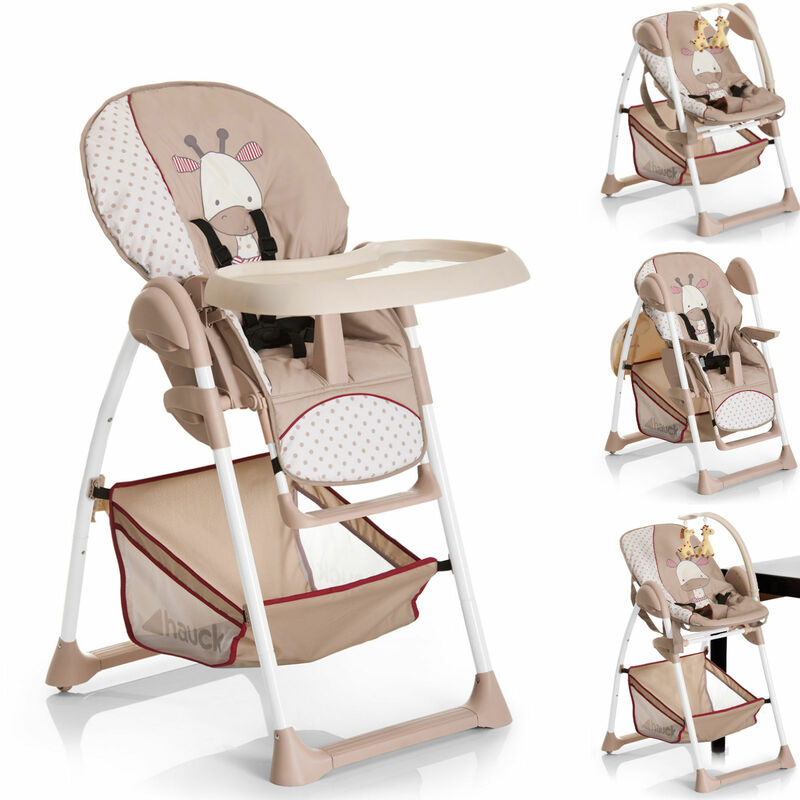 Once your child can sit up unaided the highchair can then be used. 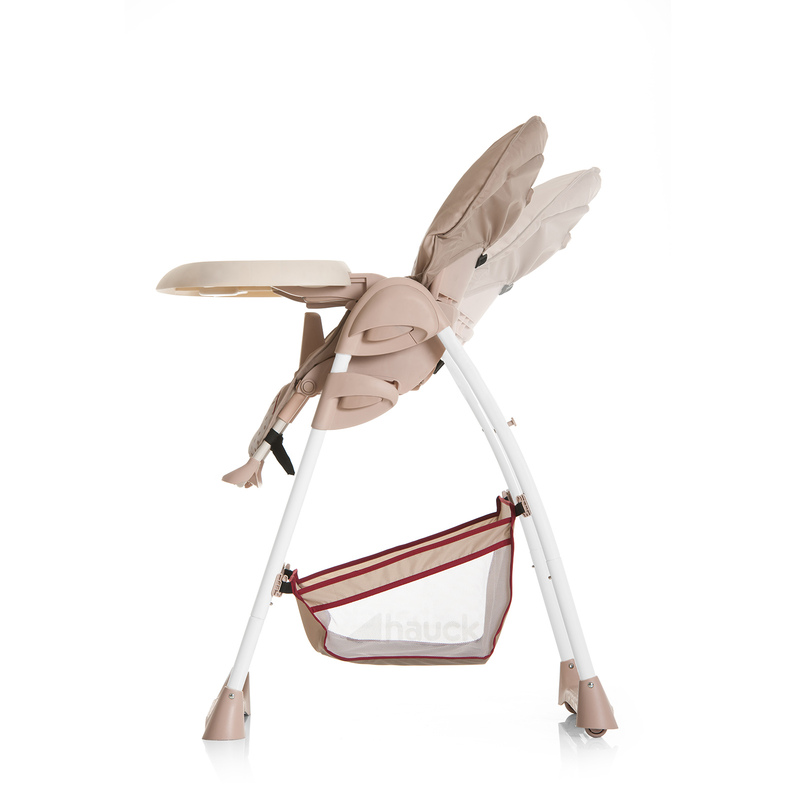 The highchair seat offers a 3-position back rest and 5-point safety harness. The practical food / play tray is detachable and washable. With two rear wheels the Sit´n Relax can be moved around as needed. very quick delivery, perfect quality . 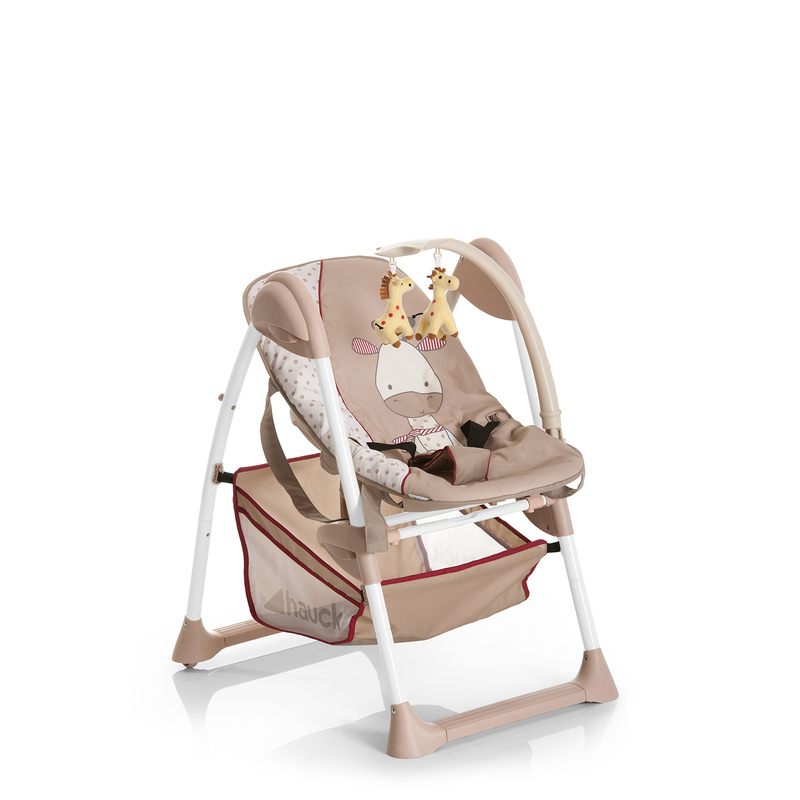 Brilliant quality, looks so comfortable with lots of padding. The actual product looks even better than the picture, on the picture it shows the strap through the giraffes face... this isn't the case! The rocker part is brilliant, although I wouldn't necessarily describe it as a 'rocker' it's more just a reclining seat. Basket on the bottom is huge, which is super handy! 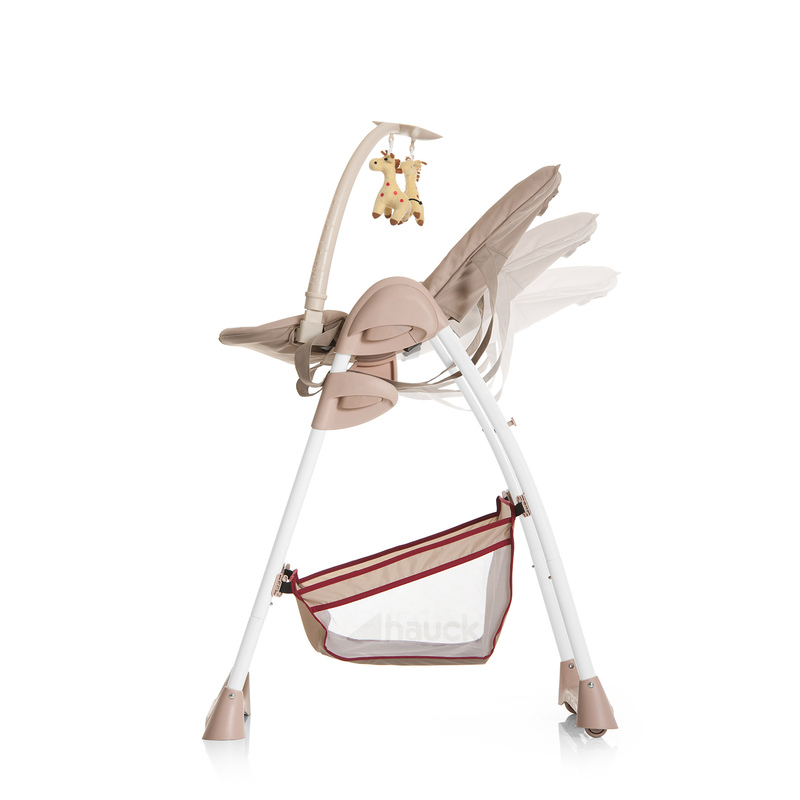 The chair all goes together easily & attachments are simple to change. 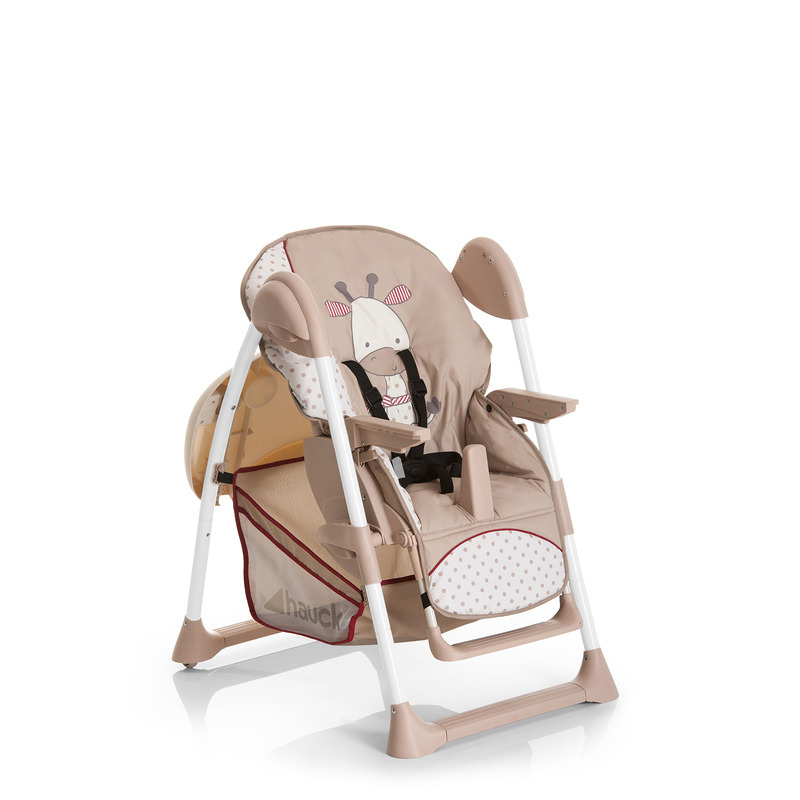 I can't wsit for baby to arrive in the next couple of weeks and get using this! !